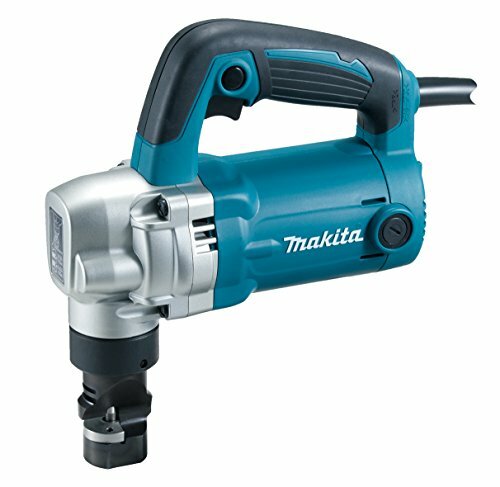 The Makita 10 Gauge Nibbler (model JN3201) features a powerful 6.2 Amp motor for continuous operation in up to 10-gauge mild steel or 13-gauge stainless steel. A built-in thickness gauge means more convenience, and all ball and needle bearings promote longer tool life. The Makita JN3201 also features easy punch and die replacement for less downtime, and double insulation for longer tool life. The JN3201 is engineered for less noise (only 81 dB(A)) for continuous operation.